Hi everyone! Hope you are all well. I'm still in puppy heaven, lmaoooo. I'm having a blast with this little guy, but he is keeping me away from the PC which is a good and a bad thing. I'm sooooooo missing everything PSP and can't wait to get back into it. 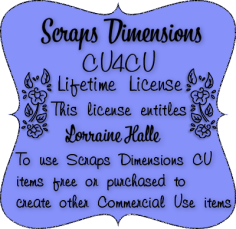 My good friend Serina of Slylin'Serina wrote a new tutorial featuring my scrap kit Harvest. Thanks so much Serina, I love it and it's such a wonderful tag. Well done. You can find her tut HERE. The next tutorial uses the same scrap kit (Harvest) and is written by Silvia. 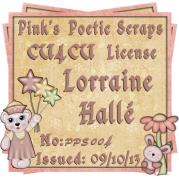 Thanks so much Silvia, you did a great job on the tag and the tut, love it. You can find this tut HERE and here's the preview. To get to her tutorial site, just click HERE. My dear friend Shaz also wrote a fantastic tutorial Fall Whispers using the same scrap kit. Wow! So many, and thanks so much ladies, I just love them all. Here is a preview and you can find the tutorial HERE.